Join us for breakfast with Jessica Ricketts from JR Media. Let’s start the year off right and plan our social media strategy for the year. 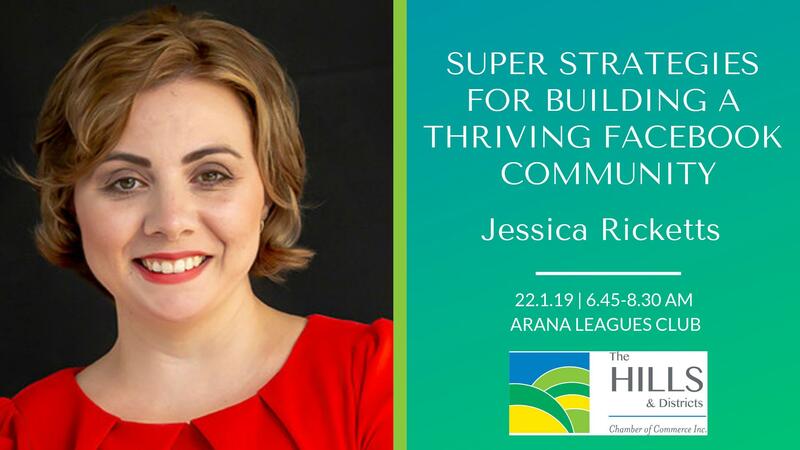 Jessica will show you the three profitable action steps for building a thriving community on your business’ Facebook page so that you can start seeing a return on your Facebook marketing efforts.